Turmoil is aplenty at Manchester United as we speak. The Red Devils sit tenth in the Premier League table, have been knocked out of the Carabao Cup already by Derby County, and laboured to a 0-0 draw against Valencia in the Champions League midweek. Experts and fans alike have been calling for Jose Mourinho’s head after a torrid start to the season, but it looks increasingly as if the under-fire boss could last longer than expected with the backing of the boardroom. Regardless, it does appear as if Mourinho has lost the dressing room, with increasing reports of a rift between the manager and certain players such as Paul Pogba and Anthony Martial. Another name has been floated in this anti-Mourinho discussion as of late, and that happens to be of United youngster Andreas Pereira. The Brazilian began the season strongly, and even earned high praise from his manager, but the 22-year-old has since been left on the bench more often than not, and wasn’t even a part of the squad against Valencia in the Champions League. 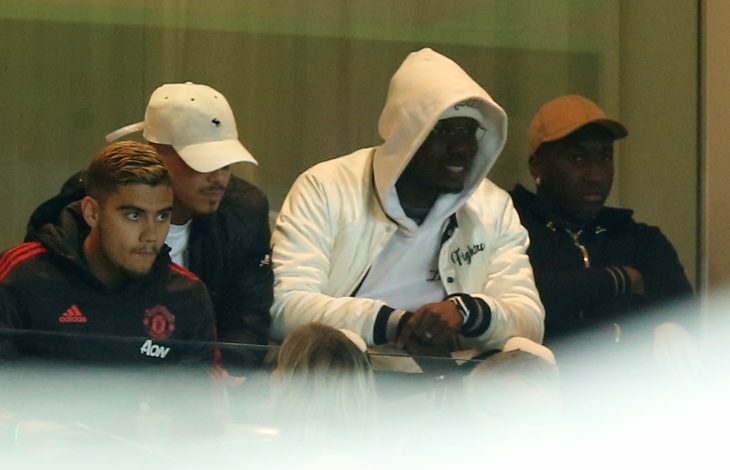 Moreover, Pereira was allegedly part of ‘Team Pogba’ as per the media, after stories of a dressing room mutiny emerged, with players apparently forced to take sides between their manager and Paul Pogba himself. And Pereira’s recent Instagram activity is indicative of the fact that he isn’t pleased with his manager’s tactics. The midfielder ‘liked’ a post that demanded that Mourinho start playing the Brazilian duo of Fred and Pereira in midfield instead of Matic and Fellaini, who played against Valencia. While this somewhat pales in comparison to Antonio Valencia ‘liking’ a post asking for Mourinho to be sacked, it does shed light on the issues that are nonetheless present at the club. It is clear that Pereira isn’t too happy with where he stands at the moment, especially after fans demanded that the manager bring him back after a successful loan spell at Valencia last season.